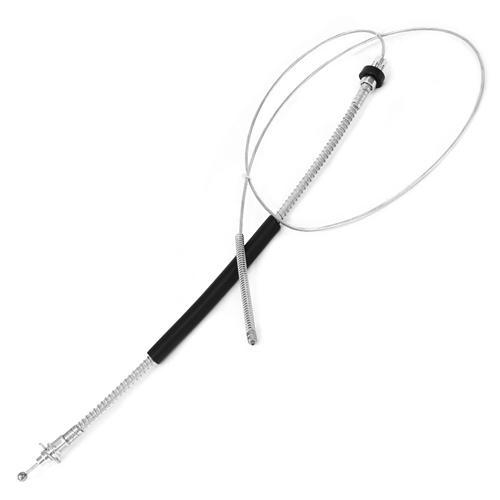 Very nice reproduction of the 1967 Mustang and Cougar Rear Parking Brake Cable. Made just like the original with the proper metal covering. Includes seal, spring, and clip. 82 3/4 inches in length.